Our Poplar 1 Hole wood tree swings starting at $59 are the perfect wood tree swing for those looking for an economical and easy to use durable wood tree swing for the kids (and adults). The Poplar 1 Hole wood tree swings are built with the care and attention that you expect from a premium wood tree swing product. 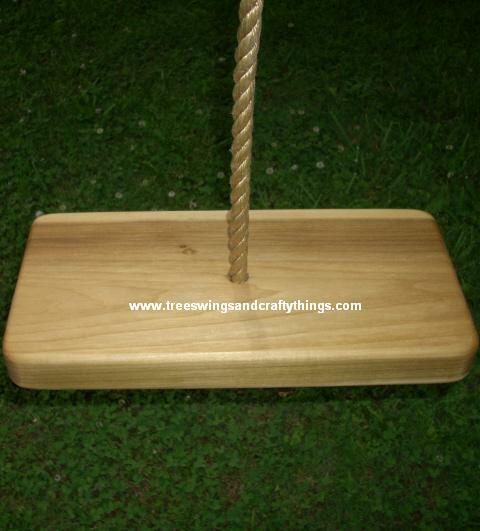 We are passionate about making a wood tree swing that is well built, sturdy and safe for the whole family to use. 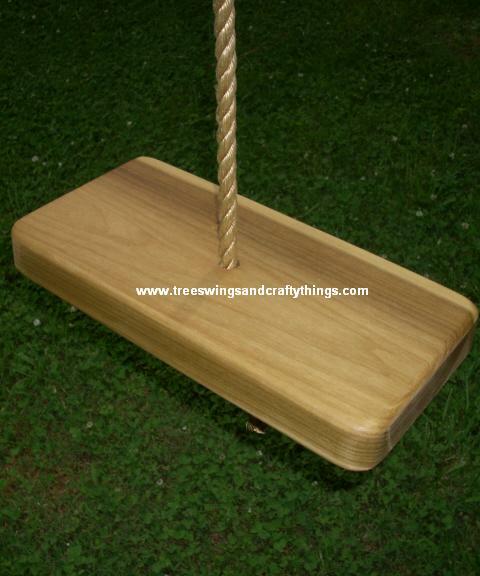 We also use durable Polypropylene rope that is UV treated on our Poplar 1 Hole wood tree swings, as we feel that the Manila rope some companies use is unsafe for use on a quality built wood tree swing due to its fast rate of decay. Each Poplar 1 Hole wood tree swing starts at $59 with 11 feet of rope standard, and additional rope is available at a cost of $1 per foot.